As you all know the error codes 80023102 and NP-2244-2 for the PS Vita are general codes to signify that the wallet funding has not taken place. The reason that the funding failed will differ from user to user. As such the advice is to complete the below trouble shooting steps. Check with your card issuer to confirm that they have not blocked this payment to your network account wallet. If you have already completed the above steps without success, or you try them and have no luck then you will have to contact your local PlayStation Support for further assistance. They will be able to investigate in further detail the specific reason that your transaction has failed. Unfortunately due to the varying reasons for failed wallet funding there is no blanket solution to fix this for everyone and you will have query this on an individual basis. hey im trying to figure out how to add funds in to my psn account... but it seems to be a bit tricky..
at 1st i tried doing it via the psn it self at the ps3's shop had no luck got 80023102 when i tried to purchess a game..
then i tried to add it to my cart and checkout got an error "the funds could not be added"..
but i had not luck... after i clicked add funds to my account and agreed to use my credit card i get the error "the card iformation is not valid" so i tried to check my account info but nothing helped im stuck right here with no ability to but stuff in the psn shop..
adding cards to your PSN account does seem to be an issue for many people - PSN is very picky about the details being EXACTLY correct when verified with the card provider. If you try too many time PSN will block your card (ONLY blocked with PSN, NOT for general buying stuff!) for 24 hours. Best bet is to make absolutely certain that you type the info in correctly - which is not made easy by some card providers. Typical issues are extra spaces (especially if you have no middle name), or addresses which have (say) the town name on a different line to where you might expect it to be. Ultimately, may people resort to using PSN cards instead - available from many stores, or even online. Sometimes this can actually work out cheaper, as several reputable online stores sell £20 PSN cards for about £17. can you please link me to one of those sites? I'm getting error 80023102 whilst trying to download a game i've paid for...paid over £30 for a game...I CAN'T EVEN DOWNLOAD.....JOKE. Previous download list missing from my Playstation Store...sorry..Sony Enterainment blah blah blah doesn't even work...useless...rebrand it when it works will you Sony!!! ...seems like it's different day, different problem with PS. Xbox anyone? Also can't play FIFA12 on EAServers...when will the problems end? Another day, still can't add funds. Baffling. The credit card compatibility problem pre-dates the hacking scandal, unfortunately some cards simply won't work and you'll have to rely on PSN Cards to fund purchases. - Military addresses are currently unable to be accepted as a valid address on the PlayStation Network. - It is recommended that you remove any special characters when entering your billing address into the PlayStation Network account registration form such as, asterisks, hyphens, and slashes. - The billing information may be case sensitive. Bear in mind that after 3 unsuccessful attempts you will be locked out from entering card details for 24 hours, so if you have been entering incorrect details and only after 3 did you correct it, this may be the problem. However, you don't take into account the fact that both cards do work. Sometimes. First I successfully used one (mastercard) for...2+ years. Suddenly one day (a week after the GT5 DLC) it ceased to function giving me the "wallet funding error". So, I switched to another card which didn't work..until a week or so ago. It worked for one DLC. The other day it didn't work again. So, in both cases you have cards that have gone from functioning->non functioning or the other way around. So, I don't accept the "incompatible card" explanation. Also, I don't accept the suggestion that the problems are due to peculiar characters in the name/address details etc. Again, that cards have worked. This is something else entirely and it reeks of either a failed security implementation or just very poorly managed back-end systems. Again, I would like to see this resolved and I won't spend any more time trying to deal with non-responsive support. Nor call a UK number. Either someone with interest sees this and acts on it, or it is bye bye Sony. So, in both cases you have cards that have gone from functioning->non functioning or the other way around. So, I don't accept the "incompatible card" explanation. Also, I don't accept the suggestion that the problems are due to peculiar characters in the name/address details etc. Again, that cards have worked. ...but yeah, as I said those were just a few things to bear in mind - I suspect it's a server side issue as that would explain the temperamentality as well as the large number of people experiencing the problem. I'm assuming you used the support@se.playstation.com contact email? I can understand that it's inconvenient, but it wouldn't stop me from using my PS3, especially when PSN cards can end up being cheaper than direct funding. You are right, a simple google search for "can't add funds to wallet" or the error number reveals that there are and have been *many* other users suffering the same fate. In some of those cases the issue was solved by changing cards or reentering address details in another way, but for a surprisingly large group there was no cure and in some cases it fixed itself in a few weeks. I thought our problem had fixed itself when the card suddenly worked a week or so ago, only to again be annoyed when it failed again the other day. As for the support email - yes I tried it. It redirects to Nordisk Film As which is the nordic distributor. I got a reply from their hotline with a (badly) cut and paste reply along the same lines as the first one here. When I say badly cut and paste I mean that it wasn't even complete. I followed up with more info in a eloquent and mild-mannered way but got no reply back despite numerous reminders. The only support number in the nordics is handled by Nordisk Film and is a pay-per-minute number. So, as far as support goes in this region, Sony is way behind and their distributor apparently doesn't care. As a contrast, when I had problems with Xbox Live a few years back, the help was swift, easy to find - and free - from Microsoft Sweden. Sure, you pay for Live, but I would rather pay for service than get shafted without. As for using the PS3, sure we will. But I won't buy a PSN card. Why? For one it would benefit both Sony and Nordisk Film, both of which show utter disregard for paying customers. Secondly, it would be a workaround to a problem that shouldn't exist. If Sony want me to spend money in their online store, I am not going to jump through hoops to be able to do so (for example going to a physical store to buy a card with a code on it). So, it's simply really. Either Sony gets their act together, and swiftly, or I will simply take my money to the party that treats me best - and lo and behold: actually allows me to conduct online purchases in a hassle-free manner. It's their game to lose at this point. Yeah it's unfortunate that many of the non-UK countries' Tech Support is actually a third party rather than Sony themselves, but it's worse that the UK support often refuses to help people from other countries. Of course the problem shouldn't exist, but when there's a simple workaround it's always worth mentioning! I guess the problem is that it's hard to prove definitely that Sony are at fault, and when there are so many variables in between it often is something else causing the problem. Anyway, hopefully your problem resolves itself soon! I thought this was supposed to be a technical help forum? While I do appreciate your replies, they come off more like apologies and an attempt to brush over the issue. I naively thought that perhaps someone in a capacity to help (like a Sony employee) would see this and attempt to help. But I guess this is another case of "let's set up a forum and let the unwashed help themselves while we laugh all the way to the bank". Yes, I am quire annoyed at this point. It is clear that Sony has no idea how to operate an online infrastructure. You have lost a customer, but I doubt you care. Beh I'm afraid that I have no clear cut solution to the problem, so attempts to "brush over the issue" were in fact the best workarounds or explanations I could think of. You can pm RabidWalker or SuperFastZombie on these forums if you want an official response, or check out the Skandinavian boards for Swedish mods. Iv solved my problem and it's working now. I opened the ports up on my router and it appears to have fixed it. It's still not working for me. Can't add funds/purchase games through the vita or the website. Ok, so now it's getting weird: I've waited one week, as instructed by sony support. Then today went onto SEN website and tried. First attempt "Your credit card information is invalid!". Then I deleted and added the same billing information to my account. Wanted to add more, tried again: "Your credit card information is invalid!". So now? Still not enough funds to buy a game for PS Vita and the credit card info is valid but invalid. If they tell me to "wait 7 days" again, I'll get this onto "Watchdog". I still get the "Your credit card information is invalid" on the SEN-website. On my PS3 I get "The funds could not be added" and sometimes 80023102. Really starting to dislike Sony. It's never too late for cake! As chrisa3211 asserts the error code you are receiving when you attempt to add funds to the wallet (80023102) indicates an issue connecting to the PlayStation Network. This error code can appear when trying to sign-in, accessing account details, online gaming or as you have experienced, issues with PSN purchases. This can occur when there are issues with the PlayStation Network servers, however if you receive this intermittantly it can indicate a connection issue. 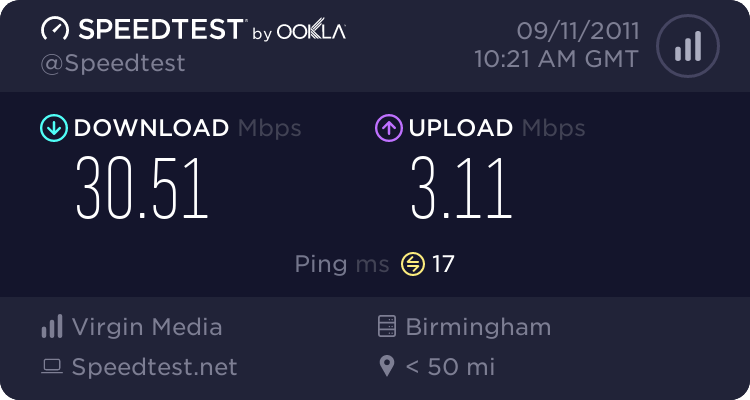 However as you mention you have not had any other connection issues and have tried a direct wired connection with the same problem. The security in place on the PlayStation Network does involve a number of checks on the card, so it is possible that the card is failing at one of these points and the error is occurring. Others have reported this but it tends to be down to the nature of the card, for example some have had a similiar issue with 'top up' credit/debit cards which can have a problem. Although I am aware other users have reported this, it is not a systemic issue at this point so we will have to look into each case seperately. Initially it would seem that the card has an issue with the security used by the PSN, and although this has worked before there is an essential incompatibility here. I will have a look into this further for you and update when I have more information.